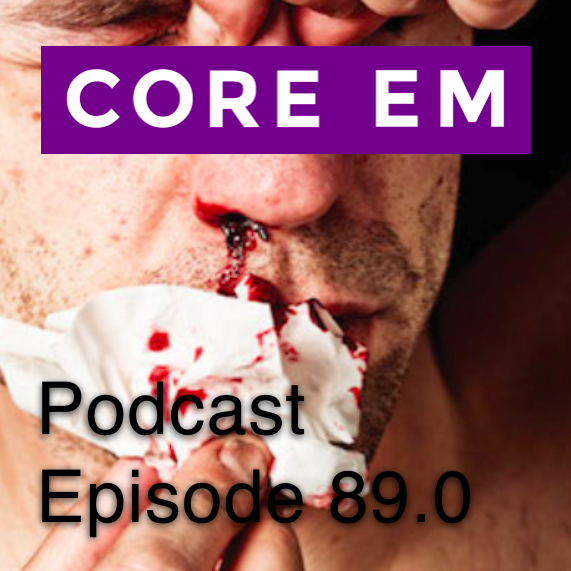 This week we discuss the ED management of anterior and posterior epistaxis. The first step is managing epistaxis is solid pressure. This means holding a tight pinch just distal to the nasal bones and hold, without peaking, for at least 5 minutes. This will stop a good deal of the bleeding. If you need to do more, start by soaking gauze in either oxymetazoline or epinephrine, mix in some lidocaine to help with anesthesia, pack the nare with that and add on some compression. Hope fully this stops the bleeding enough that you can see a good bleeder and perform cautery. Third line of treatment would be to try some soaked gauze, but this time with TXA. Can’t hurt to try! And then last resort is of course packing. 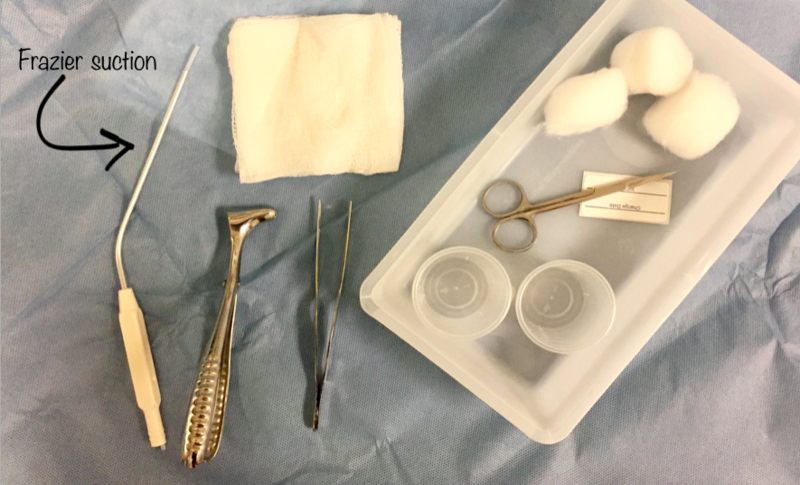 Here make sure the patient is anesthetized with some lidocaine, lubricate the packing well and apply horizonally, no vertically as we are often tempted. I would have patient blow nose / suction BEFORE followed by vasoconstrictor of choice then apply pressure. Can’t visualize bleeding source if clot is still present and if clot pulled after pressure, then bleeding will re-start making cautery less effective. excellent point that we should have been clearer on. Thanks! Loved the podcast (as always) and learned some important points.